From Marcello (ESA), Baikonur, 7 August. Activities to prepare the satellite for launch have been running flat out since we resumed the campaign. Many people from the different teams have now arrived to help finalise the campaign. Consequently, one more important milestone has been achieved! 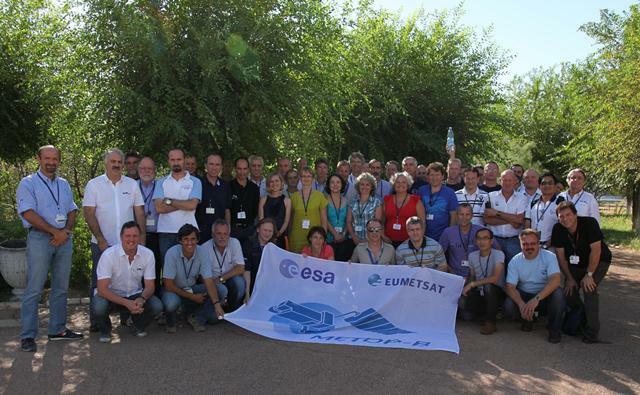 The satellite ‘aliveness test’ was successfully carried out a couple of weeks ago. 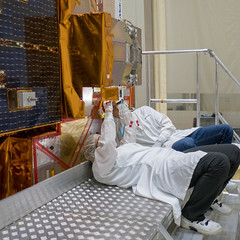 During the test, the payload module, the service module and the instruments were checked. It took quite some effort to optimise the logistics and perform the test as the satellite was in a different facility than where the health check was carried out first time around. So, new cabling had to be prepared and the ground support equipment re-checked. But it was worth it, as it confirmed that MetOp-B is in good health after the babysitting phase because of the launch postponement. Also, many of the other mechanical activities have been finalised, the solar arrays are ready, the batteries have been reconditioned, and everything is ready for the green light for the propellant filling scheduled in the week starting 20 August.